Kylee was born and raised in Grande Prairie, Alberta. 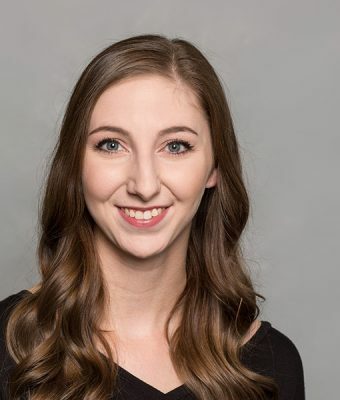 She began dancing at the age of 6, with most of her formal ballet training at the Grande Prairie Dancer’s Academy under the direction of Nancy-Marie Rigler. She completed all of her RAD vocational exams including her Advanced 2 with distinction. To supplement her formal training, she spent many summers at Ballet Austin, the Okanagan Summer Dance Intensive and the Canadian Contemporary Dance Theatre in Toronto. Upon graduating high school, Kylee moved to Vancouver to join the Goh Ballet Youth Company where she had the opportunity to perform many roles including Swan Lake pas de trois and Balanchine’s Walpurgisnacht. Kylee was signed on as a company dancer with Citie Ballet in 2014. Some of her favourite performances have been in Kiera Keglowitsch’s Love Articulated and Jorden Morris’ Tierra and Jacinto. In April 2017, she was thrilled to have the opportunity to choreograph her debut work entitled FIVE for Citie Ballet’s final performance of the season. In addition to dancing with Citie Ballet, Kylee also teaches ballet at Sandra Gray School of Dancing, instructs barre fitness classes at 2GFitness and is working towards her certifications both as both Personal Trainer and Stott Pilates Instructor. Kylee is excited to continue to grow as an artist in her fourth season dancing with the company.